Despite most of my beery posts on here and check-ins on Untappd being of scary things that are closer in strength to wine than an old school pint of beer, my mission over the last year or so has been very much at the other end of the scale – I’ve been looking for good low strength beer. 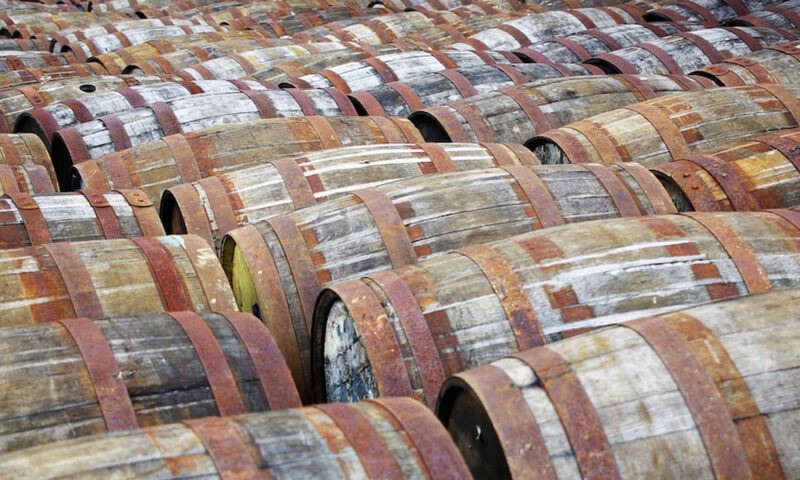 One reason is that I’m intrigued by the possibility of a low ABV beer that is still packed with flavour – the government’s tax breaks for beers at 2.8% ABV and below are an attractive driver for many breweries and hopefully one of them will crack it. I’ve tried a few 2.8% pints, including Fuller’s Mighty Atom (boring and fairly flavourless) and Brewdog’s now-disappeared Blitz (a good try, with some tricks to try and bulk out body and flavour, but there’s a reason why it didn’t make their regular line-up), but as yet none of them have really wowed. The second reason, which ties in with the first, is that I am increasingly becoming a beer lightweight. While I can, thanks to the practise ‘forced on me’ by my job, manage the progressive drunkenness caused by drinking spirits, beer will quite often kick me in the arse and get me drunk way too quicklyIn my youth this would not have been a problem, as drunkenness in my student days was very much a way of life, but now that I am rapidly approaching my dotage (well, going bald at least) I don’t particularly like getting drunk. My standard beer drinking position is in the pub with drinking companions with whom I wish to converse, and to continue a conversation for any sustained length of time while necking halves of Mikeller Black Hole takes a constitution which I most definitely don’t have. As such decent tasting, low strength beers are something I’m rather keen on – they let me drink something tasty at the same time as not ending up dribbling on the table by the end of a protracted evening. In recent times I have focused my love on Trinity, from Tottenham’s Redemption Brewery, a favourite producer of mine and also a beer that appears on tap at The Gunmakers at regular intervals. However, I’ve been hearing rumours for a bit that Evin from Kernel, an occasional collaborator with Andy from Redemption, had been crafting something that might intrigue me – a 3% session beer, rather than his usual 6%+ hops bombs. 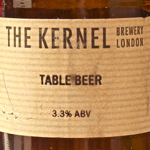 As the lowest ABV beers I’ve tried from Kernel are their ~5% Pale Ales I was wondering how he’d do with a bit less strength. 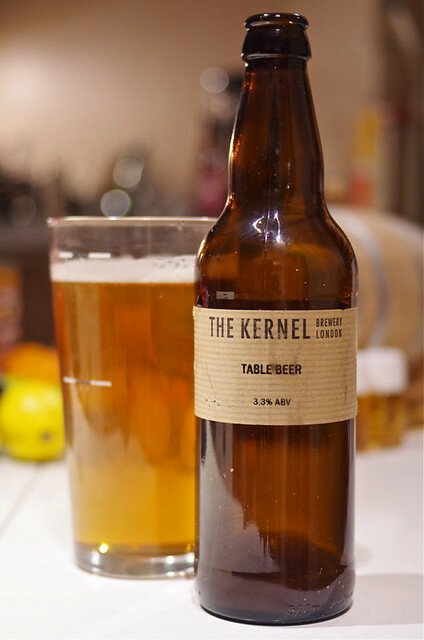 Unfortunately the beer in question decided to elude me for a long time, until I finally made it back down to the brewery before Christmas, when I got the chance to grab a few bottles and try some on tap – Table Beer. On the nose it has some freshly peeled mandarin, musky malt, sour apple and a bit of tropical fruit. To taste it has a nice chunk of bitter green hop, backed up with pleasantly sour maltiness and a bit of fruit, but is quite thin and doesn’t have much body. It finishes with bitter green herbs and sour malt. All in all not a beer to change the world, and not one to knock Trinity of its perch as my favourite beery tipple of the moment that won’t make me fall over before the end of the evening. However, it does exactly what the name suggests – it’s a Table Beer. A beer to have with dinner that will happily compliment things without overpowering them; a beer to have a few bottles of while watching the TV; an uncomplicated but tasty thing that I suspect I will be sourcing a few bottles of to go in the everyday beer cupboard. Pale Ale, 3.3% (although ABV varies by batch). ~£2.70 for a 500ml bottle.